The Roomba vs. iLIFE debate seems to be an unending one. But today we want to put the matter to rest by comparing the two brands from different angles like cost and value, performance, maintenance, durability, autonomy and so on. Ultimately, we will give our verdict on which is the best option between the two. So, if you are in a shopping dilemma, keep it right here. As a sneak peek, iRobot is a renowned American robot vacuum brand that combines the best technologies to manufacture high-end robot vacuums. The company has been in business since 2002. On the other hand, iLIFE is a Chinese brand synonymous with cheap, but reliable robot vacuums including integrated robot vacuums with mop. This one is a little bit new having been established in 2007. Now, let us dig deeper and find out why we chose these two brands and not any other. Roombas set the standards in the robot vacuum industry. The company was the first to come up with a 3-stage cleaning system, and every brand has now replicated. Until the inception of Neato’s No-Go Lines and FloorPlanner in 2018, it is only iRobot that had a boundary marking technology that used invisible barriers. The first robot vacuums to integrate Wi-Fi and Alexa function were also the Roombas. These are just some of the many aspects that make iRobot the best robot vacuum brand. The excellent reviews also mean that it is indeed a trusted brand and the industry’s cornerstone for comparisons. iLIFE is the exact opposite of Roomba in terms of price. Chinese brands are known to be cheap and often disrupt the international markets; that’s what ECOVACS, iLIFE, and Xiaomi are up to. The most expensive iLIFE robot vacuum costs a quarter of what the latest Roomba will set you back. 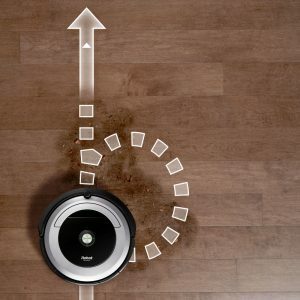 Besides the price difference, iLIFE offers something unique, and very fundamental which many robot vacuums including Roombas lack. This is the mopping function which the Shenzhen-based company has advanced slowly, and so far, it is the only robot mop with an intelligent water dripping technology; i-dropping. Think of a floor cleaner that vacuums and mops simultaneously, at a fraction of what Roombas cost; that’s what iLIFE is. iRobot vacuums come in the Roomba series. The 690, 890 and 960 are the most popular iRobot models. iRobot 690 was introduced to replace the 650, and the new additions it came with was Wi-Fi. This model is popular because it is the cheapest Roomba with smart connectivity. Next up is the 890 and this was released together with the 690 but came with several additions including a new brush system, and a more powerful motor. 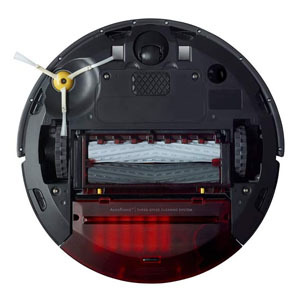 The catch with the 890 is the affordable price and a 2nd Gen motor just like the one in the much expensive Roomba 960. Lastly, the 960 is the base model in the 900 series, and it is a favorite because it is $200 cheaper than the 980. It comes with a VSLAM navigation and will resume cleaning after recharging. ILIFE has two series; the iLIFE A series for carpets and the V series which integrate mopping function. The popular models are the A4s, V5s Pro and the new V8s. The A4s is quite an old model designed for carpets, and its popularity is purely because of affordability. The V5s Pro is the best choice for hard floor owners because it vacuums and mops and is available for less than $200 – an amount that can’t get you the old Roomba 650. Even though there’s also the V7s Pro, this one has everything its successor has. Last is the iLIFE V8s, and its popularity is because of the hype that comes with being the latest iLIFE robot vacuum. One of the unique features of Roombas is Dirt Detect that uses optical and acoustic sensors to find where there is concentrated dirt on the floor. Some Roombas will resume cleaning after recharging ensuring the house is thoroughly cleaned. Perhaps the best thing Roombas offer is smart connectivity which makes them smart home ready. iRobot also develops better VSLAM navigation for high traffic rooms. 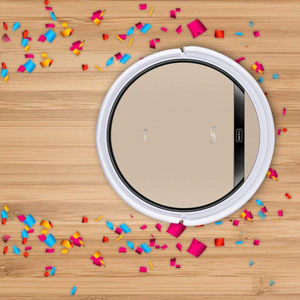 iLIFE robot vacuums come with mopping function which complements just sweeping and vacuuming. You don’t need to invest in another cleaner, but with a Roomba, you will still need to get the Braava Jet 240 or 380 to mop the floor. ILIFE robot vacuums also have a longer runtime. Each one of them does more than 100 minutes while the only Roomba that can exceed 100 minutes is the 980 which is not in our review today. These vacuums are also low profile and very sleek. Now, to the main business of the day; we have compared the top models from the two brands highlighting the strengths and weaknesses of each brand. The cleaning performance is the most crucial consideration when choosing a robot vacuum. That is an excellent playground to test the two brands. Just for the record, Roombas are robot vacuums while iLIFE has robot vacuums and robot vacuums with mops as well. There are also several other differences between Roomba vs. iLIFE that we will be discussing below. As you all know robot vacuums are highly specialized. You need to buy a cleaner that is specially designed for your cleaning needs; be it hardwood floors, pet hair, carpets and so on. Many of the robot vacuums combine two or more cleaning abilities. Let’s see how Roomba compares to iLIFE in terms of cleaning orientation. Roomba 690 is designed to handle hard floors, pet hair and may be low pile carpets. The 890 also handles hardwood floors, tile, linoleum, pet hair, and low to medium pile carpets. The 960, on the other hand, can handle hard floors as well, low to medium pile carpets, pet hair, high traffic rooms, and large apartments. When it comes to iLIFE, the A4s is designed for bare floors and carpets. It also picks up pet hair very well. As for the V5s Pro, it is not ideal for carpets but will do a great job vacuuming and wiping bare floors and picking up pet hair. This is the same for the iLIFE V8s. Roombas boast raw cleaning power and have a slight advantage over iLIFE models as we will see in the final cleaning tests. However, the extra mopping function gives iLIFE a huge boost and in fact makes the brand the best for bare floors and pets as it vacuums and mops the stains and grime that pets leave behind. Under the hood of robot vacuums is a crucial component called the motor. Its responsibility is producing the suction power that vacuums the dirt from the floors. There are different types of motors in the industry from the low end to high-performance motors. Even though motors are rated in Watts, the power of the vacuum is calibrated in Pa which with high Pa implying better performance. So, between Roomba and iLIFE, which brand has high suction? The Roomba 690 has an old 1st Generation motor that delivers around 550-600Pa. On the other hand, the 890 and 960 have the 2nd Generation single speed setting motor and delivers an average of 900Pa. iLIFE A4s has been specially designed for carpets and comes with a much powerful motor that delivers 1000Pa. The V5s Pro is a little powerful than the V5s as it delivers 850Pa in Max mode while the new iLIFE V8s delivers 1000Pa. Even though iRobot turns the tables when you bring in the Roomba 980, the popular iLIFE and Roomba models rank the same when it comes to power output. Our pick, however, is the Chinese brand because they are cheaper and hit 1000Pa while Roomba’s 2nd Gen motor manages 900Pa. There are two brush systems in robot vacuums cleaners. We have the primary brush whose role is agitating and picking up dirt. On the sides, you may have two or a single sweeping brush that sweeps the paths of the vacuum. Carpets require tough bristle brushes while the bare floors are good with soft brushes or rubber extractors. So, what do these two brands offer? Roomba 690 comes with a dual multisurface brush system, and what this means, there is a brush for agitation and another for picking up dirt. The 890 and 960, on the other hand, share a similar dual multisurface brush system, but this time these are rubber extractors and not bristles like earlier before. Additionally, there is an anti-tangle system to prevent dog hair from tangling the system. On the sides, all the Roombas have a single side sweeping brush. The iLIFE V5s Pro has two side brushes but no primary brush so, expect dismal performance. This is the same for the new iLIFE V8s. The A4s also has dual side brushes and a special motorized bristle brush to tackle carpets and stains. Here, the only iLIFE model that can match Roomba is the iLIFE A4s. The spiral-shaped bristle brush picks up dirt , but it is not as good as Roombas dual multisurface brush system which is specialized on that there is one brush for breaking down dirt and another for picking up the dirt. Besides sweeping and picking up dirt, robot vacuums also purify the air by capturing the tiny particles that cause bad odor and trigger allergens. Here, you need to consider true HEPA filters which have a 99.97% efficiency and filter down to 0.3 microns. However, most of the robot vacuums out there have HEPA style filters which go down to 10 microns and may have an overall efficiency of 85 – 90%. Select models of Roombas have true HEPA filters. The Roomba 690 has the AeroVac filtration system and what we understand is that the filters we not very efficient. The 960 and 890, on the other hand, have AeroForce filtration and these use high-efficiency filters that have a 99% efficiency and filter down to 10 microns. For iLIFE vacuums, we just have the same filters in all the models. These are HEPA style filters as well and have a good efficiency as well. Here, it is a tie because they all have HEPA filters. 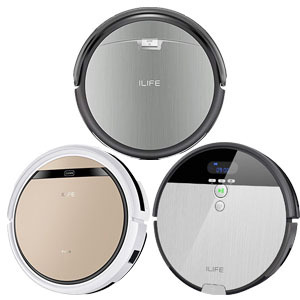 However, we feel iLIFE is the winner because it is cheaper and offers the same thing as the Roombas. Robot vacuums come with dust cups and need frequent emptying and occasional washing. An ideal robot vacuum should have a large bin to reduce the frequency of emptying. A full bin indicator is also essential to alert homeowners when the bin needs emptying. Roomba and iLIFE vacuums have different bin capacity and emptying technology so let’s review them to find which one is the winner. iLIFE V5s Pro has been designed with a 0.3L bin and a 0.3L water tank for damp mopping while the V8s has a large 0.75L bin and a 0.35L water tank. As for the iLIFE A4s, we only have a 0.45L dust box and no water tank as it offers vacuuming only. None of these models have a full bin indicator. Also, none in this review has the Bin Detection technology that notifies the user when the bin is attached well. 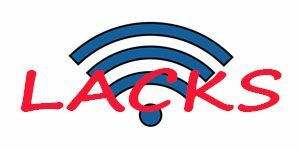 Failure to attach well risks damaging the inner components. iRobot robot vacuums have a much similar design, and so is the dust bin. They all have a 0.3L bin and come with a full bin indicator. This notifies the homeowner when it is full because once it is full, the Roomba stalls. Here, the dilemma is between a large dust box vs. full bin indicator. It is thus hard to call a winner because each has its advantages and disadvantages. However, we are more inclined to the iLIFE V8s because of the 0.75 L bin. Apart from the features we all know, some robot vacuums offer something unique apart from the sweeping and vacuuming. Luckily for Roomba and iLIFE, there is something unique offered so let’s see what cleaning extra is worth. Roomba on one side comes with Dirt Detect, and this is a feature that finds patches with concentrated dirt. There are two versions with Roomba 690 having the old Dirt Detect series I which uses acoustic sensors to locate dirt. The 890 and 960, on the other hand, come with Dirt Detect II which combines optical and acoustic sensors to find dirt. Once a dirt patch is located, the Roomba goes there and switches to Spot mode until the mess is cleared. As for iLIFE, the V5s Pro and V8s both offer mopping. They come with extra water tanks and microfiber clothes for dry and damp mopping depending on your needs. In case of water spills, the dry mopping function will come in handy while the damp mopping is for clearing paw marks, stains, and grime among other sticky messes. Here, iLIFE carries the day because mopping is a more practical cleaning extra. Sweeping and vacuuming only doesn’t guarantee the best clean, but a single pass with a damp cloth brings back the shine on your hardwood floor, tile or linoleum. Dirt Detect comes in handy rarely when kids spill cereals or sugar. To create a real household dirt environment, we used the common dirt for example sand pebbles, kitty litter, cereals, salt, and flour. So, how did the two robot vacuum brands deal with the dirt? The Roomba 690 easily picked up most of the dirt with four being the only hurdle as it left behind a cloudy shade of the smallest flour particles. Up next was Roomba 890 which exhibited the same results as the 960. The two cleared all the dirt, and this time, no flour patches were left behind. When it came to iLIFE, the V5s Pro performance was similar to the 690 with a few flour patches remaining behind. However, all the other dirt vanished. The A4s and V8s both come with the same power and completely vacuumed all the dirt including the flour. The battle here is between iLIFE V8s vs. Roomba 890 and 960. Though both brands do a good job, we crown the V8s as the winner because of the mopping function that finishes the job splendidly. Roomba 690 does an excellent job in loosening dirt from the carpet fabrics with the bristle brush. However, it was only effective on low pile carpets because of the low suction power. The 890 and 960, on the other hand, worked well on the low pile carpets and medium pile. They picked almost all the dirt save for the small flour and sugar particles that hid deep inside the carpet pile. On high pile carpets, the two were greatly overwhelmed. When it came to iLIFE, the V5s Pro and V8s are not designed for carpets. This was evident as the duo failed to vacuum most of the dirt on the low and medium pile and there was no need to try them out on the high pile. It is only the A4s that did a good job on carpets, but only the low pile and medium pile. We tested it on the high pile, and we were disappointed as much of the dirt beneath the pile remained untouched. 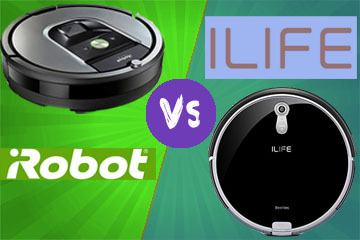 The iLIFE V5s, V8s and Roomba 690 are not favorites here leaving the contest to Roomba 890 and 960 vs. iLIFE A4s. It is hard to pick a winner because the three have almost the same vacuum power and overall performance. Our choice, however, is the iLIFE A4s because it has slightly higher vacuum power at a cheaper price. Roomba 690, 890 and 960 all collected pet hair very well on bare floors. However, the 690 was disadvantaged in picking long dog hair which tangled the brush. Kitty litter wasn’t a problem also for the three. iLIFE also did a great job picking up kitty litter and pet hair from bare floors, but on carpets, only the A4s passed the test because it has been designed for carpets. The V5s struggled on carpets and wasn’t able to pull up the small hairs attached to the carpet fabrics; remember the brush is non-motorized. Here, the battle pits Roomba 890 and 960 vs. iLIFE V8s. Again, it is hard to call a winner because each has advantages as well as disadvantages. Roomba picks up pet hair well while iLIFE V8s will wipe the paw marks left behind, and other pet messes like urine. One of the areas many vacuums cleaners differ is regarding their autonomy which refers to the battery runtime and how the robot vacuums manage its power. 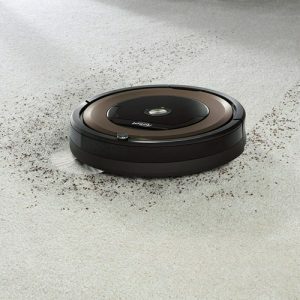 The autonomy of a robot vacuum is critical as it determines how long the vacuum will run and consequently, the floor area it can cover on a single charge. When it comes to Roombas, the 690 comes with a 1,800mAh battery that lasts it for an hour on bare floors and slightly lesser on carpets. It will go back to charging base but won’t resume cleaning. The 890 also comes with a similar battery and lasts an hour also before the vacuum goes to recharge, but unfortunately, it will not resume cleaning. The 960 is a great option here as it comes with a bigger 2600mAh battery that lasts 75 minutes and the vacuum will resume cleaning after recharging. On the other side, we have iLIFE A4s that has a2600mah battery that will do 120 – 140 minutes, but there is no resume function. Next up is the ILIFE V5s that also has a long 110-120 minutes runtime and also lacks the resume function. The latest model maintains the same Li-ion battery (2500mah) battery, and yet again, we don’t have the auto-resume function meaning the V8s will be stuck at the charging base yet there is still work to be done. Here, you find that Roomba 960 carries iRobot’s flag really high because of the resume function, but generally, the runtime is shorter. The long recharge time is also a letdown. 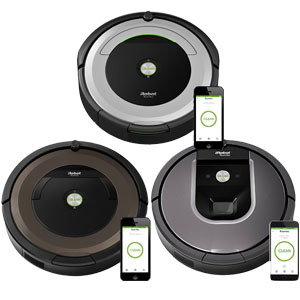 So, if you want a complete cleaning on a single charge, the iLIFE models take center stage because of almost twice the runtime of average Roombas. Were it not for the fact that the 960 has resume function, iLIFE would have been the outright winner, but then, this is a tie. Robot vacuums have become increasingly popular because of the convenience they offer in terms of operation and automatic operation. Before we wind up, let us see which brand between iLIFE vs. Roomba offers the best usability. Smart home technology has grown exponentially, and today, everyone wants a smart robot vacuum. These have Wi-Fi which allows them to connect with other smart devices like Smartphone apps, smart hubs, voice control, and other integration. Roomba 690 came as the first smart robot vacuum and boasts 2.4GHz Wi-Fi compatibility. This allows homeowners to connect to their vacuum via the iRobot Home App or using Alexa/Assistant. The 890 also has the same smart specifications, but the 960 is a little bit different in that the Smartphone app has more features including Clean Maps which shows where the Roomba passed from the app. Unfortunately, none of the iLIFE models comes with Wi-Fi. Well, not everyone wants a smart device. So, a robot vacuum without Wi-Fi still has its own fair share of fans. Definitely Roomba carries the day here. Very few people would forego Smartphone operation and Alexa compatibility for whatever reason. A physical remote is still an excellent accessory that comes in handy for senior citizens and homeowners with mobility problems. Some robot vacuums come with IR remote controls while others don’t have it. As it’s said, you’d rather have it and not need it than need it when you don’t have it. iLIFE robot vacuums are supplied with IR remote controls that have a digital display. They can operate the robot vacuum from 13 ft. away and thus eradicate the need for tirelessly bending to access the controls on the cleaner. Roombas work with remotes but not every Roomba comes supplied with one. One astounding thing is that IR remotes are less popular now that you have the Smartphone app. But it is not such a bad thing to have. For the homeowner looking for remote control, none of the Roombas in our comparison review comes with a remote control in the standard package. That means iLIFE carries the day as they come with the remotes in the package at no additional cost. This is a function which enables homeowners to program their vacuum cleaners. You don’t need to be around for the vacuum to clean; just set the preferred time, and it will do the job without further prompting. Roombas comes with the scheduling function that can be programmed for seven days. Homeowners can set the preferred cleaning times wither on the Smartphone app or manually on the control interface. iLIFE robot vacuums also come with the scheduling function and can also be scheduled for seven days using the remote. This is hard to call because both iRobot and iLIFE models come with schedule function. But we feel Roombas deserve the top spot now that you can schedule cleaning sessions from miles away using the App. Roombas are known for their advanced navigation and mapping system. On the other hand, iLIFE boasts a robust maneuvering system. In this section, we want to compare how the two vacuum brands find their way around your house. 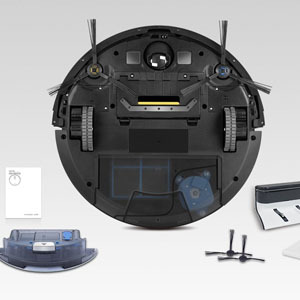 Roomba 690 and 890 come with iAdapt 1.0 Simultaneous Localization and Mapping (SLAM) navigation. This system uses sensors only to find its position in the house. On the other hand, the Roomba 960 uses iAdapt 2.0, and this is a Visual Simultaneous Localization and Mapping (VSLAM) navigation the employs sensors and a real-time camera. iLIFE and Chinese brands have been left behind. The company still relies on a SLAM navigation system which uses sensors only. The best among iLIFE vacuums is the V8s because it has the latest software. However, they all get stuck from time to time and are not best for high-traffic rooms. Definitely iRobot carries the day because of the VSLAM navigation. Even if Roomba 960 is out of the equation, still iAdapt is ahead of iLIFE. Apart from navigation, how your robot vacuum moves around is really important. It determines the turnaround of the cleaning and most importantly, the coverage. A good robot vacuum should be fast and efficient in that it cleans in the shortest time possible and covers the entire floor. Roomba 690 moves around in a random pattern and may miss some spots in large apartments and houses with many rooms. The 890 isn’t any better but at least it moves in a semi-random pattern and the 40 minutes turnaround in a two bedroom apartment is reasonable. It rarely misses any spots. The best is the 960 that uses a methodical cleaning pattern, and this means entire level cleaning. Regardless of the size of the apartment, the 960 promises fast and thorough cleaning. Please note, Roombas don’t store the data they capture for later use or reference. iLIFE, on the other hand, lacks a systematic cleaning pattern. This is because it relies on sensors only for localization. At least for iAdapt 2.0, the Roomba acknowledges the presence of landmarks like sofas and tables in real time. Roombas are the best because they also have the best navigation system. Basically, the better the navigation system, the more efficient the vacuum cleaner. That said, buy the Roomba if you have large apartments to get fast turnaround and entire level coverage. But for an average apartment with normal traffic, iLIFE still delivers. For many homeowners, there’s the need to contain robot vacuums. The dog feeding area doesn’t need to be cleaned often, and the guest room too. iRobot os an industry leader here though Neato Robotics has overtaken it. Roomba 690 works with iRobot’s proprietary Virtual Walls. This is a system that uses physical nodes that send an invisible beam which becomes the boundary line. A single node sends a single straight beam so to get the best functionality. You need at least two Virtual Walls nodes. Unfortunately, Roomba 690 and 890 come with only one Virtual Walls node. The 960 comes with two Virtual Walls nodes. So far so good, iLIFE doesn’t have any boundary marking technology. iLIFE’s lack of boundary marking technology is one of the hefty prices you have to pay when you settle for iLIFE. If you have a dog feeding area and any other spot you don’t want your cleaner to reach, pick Roomba. Maneuverability is all about how the vacuum cleaner moves around. Roomba comes with a self-adjusting head that ensures there enough ground clearance at all times. On carpets, the cleaning head automatically goes a little bit higher while on bare floors it lowers to the normal price clearance. The wheels are off-road and will go over the small obstacles and transitioning from floors to high pile carpets is seamless. 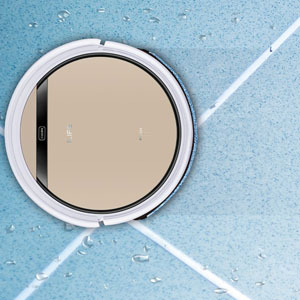 iLIFE also comes with self-adjusting cleaning heads and transition with ease from bare floors to carpets. The large off-road wheels will also go over obstacles with ease. All the two brands have efficient maneuvering systems. It is hard to decide on a winner because so far, we haven’t seen any problem with any of their models. Roomba is indeed the best robot vacuum brand, and iLIFE hardly offers it a real challenge when it comes to floor cleaning and convenience. However, for the budget buyer who wants a 2-in-1 cleaner that vacuums and mops, iLIFE is the ultimate brand. Mopping function – The V5s Pro and V8s come with water tanks for dry and wet mopping. Cheap robot vacuum – The latest iLIFE robot vacuum costs $250 which is $100 cheaper than the cheapest Roomba. Longer runtime – iLIFE robot vacuums do a minimum of 100 minutes while none of the listed Roombas can do 100 minutes. Is there a Roomba that can mop? No, Roomba is a series of robot vacuums only. If you want a robot mop from iRobot, you can get the Braava series which includes the Braava 280 and 380. Is there a robot vacuum that mops? Yes, there are some brands, iLIFE included that integrate the mopping function in their robot vacuums. The iLIFE V5s Pro and V8s are examples of robot vacuums that can mop. Is iLIFE better than Roomba? As far as features are concerned, iRobot is ahead because of the navigation system,I resume function, dirt Detect, virtual Walls and connectivity. However, when to cleaning versatility, iLIFE is the best because it can vacuum and mops simultaneously. Which is the best iLIFE vacuum for pet hair? The A4s is an excellent choice because of the brush and high suction power. It can easily lift pet hair attached on surfaces. There you have it, a full comparison of Roomba vs. iLIFE. Which one do you like? Talk to us in the comments section below. 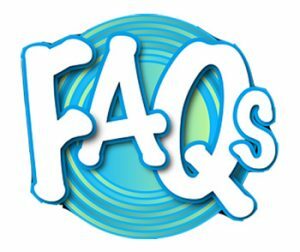 If you have any questions, you can as well contact us; our experts will answer your questions. So until next time, have a wonderful shopping experience. And remember to sign up for our price drop alerts and get notified when the Roomba and iLIFE prices drop.